You are here: Home / Las Vegas Dentist / February Invisalign Special! 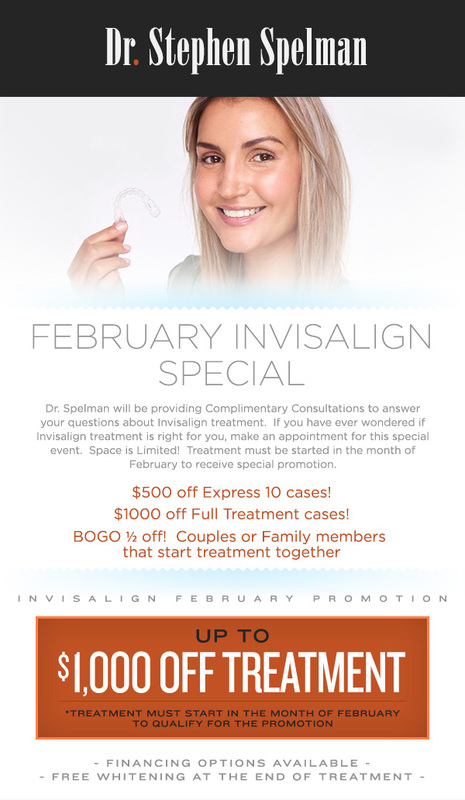 Dr. Spelman will be providing Complimentary Consultations to answer your questions about Invisalign treatment. If you have ever wondered if Invisalign treatment is right for you, make an appointment for this special event. Space is Limited! Treatment must be started in the month of February to receive special promotion. Spring Invisalign Special – Save up to $1,000 off Treatment July Invisalign Special!